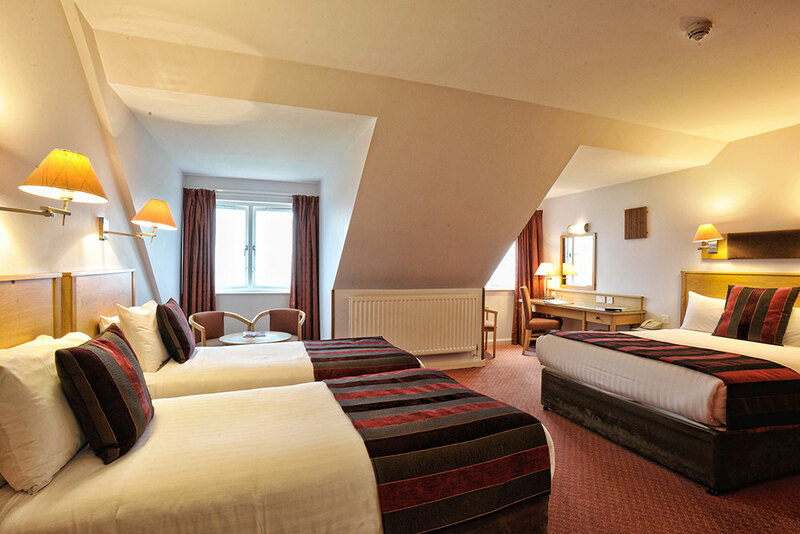 We strive to ensure all our guests have a fantastic time with us, which is why we have specifically designed all our beautiful rooms to give a calm and relaxing retreat with some offering stunning sea views. 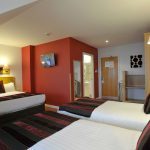 Finished to an incredibly high standard with contemporary design, after a busy day of sightseeing, shopping and socialising, you can sink into a sumptuous king size bed to get a decent night’s rest before another day of fun ahead. 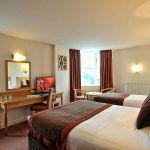 All our rooms also come with a number of other amenities, including free high speed Wi-Fi internet access, flat-screen televisions, desks, hair dryers and modern bathrooms with either a bath or shower, so you can have the perfect place to relax, unwind and keep in touch with friends and family. 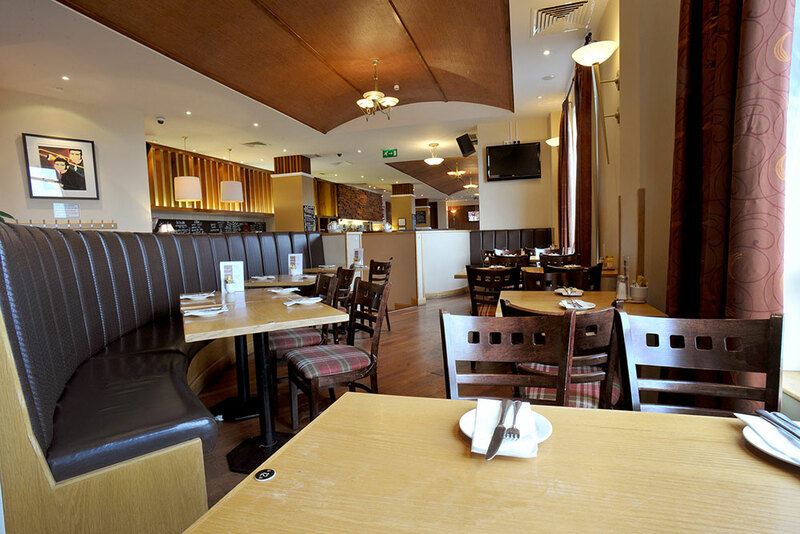 To ensure we cater for everyone’s needs, we also have larger rooms for groups or families. 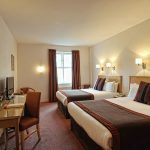 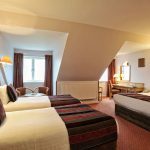 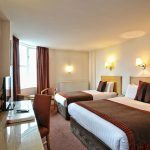 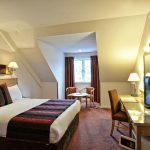 These spacious rooms feature either a king size bed with a double bed or a king size bed with a single bed and still provide guests with all the space they need for a comfortable and relaxing stay. 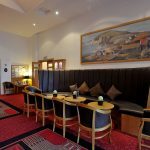 You can also find special offers, including our Love Portrush Romantic Package or Advance Booking discount that give guests great value, luxury accommodation and a truly magical experience with us. 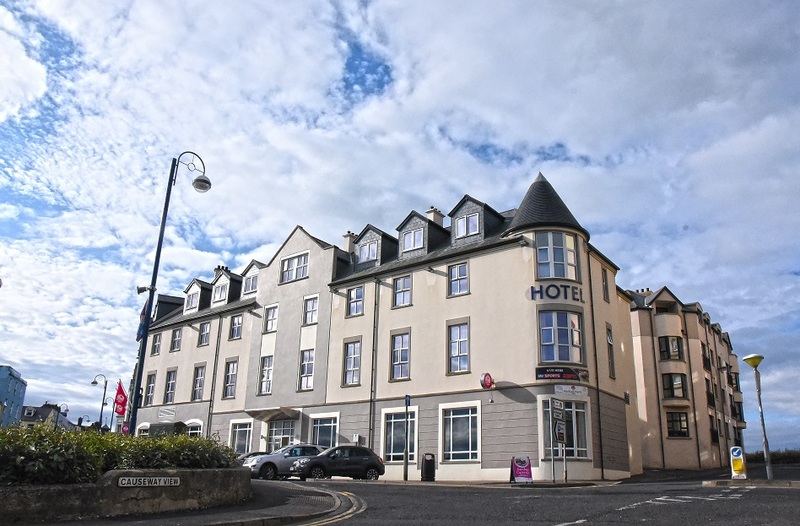 Of course, when visiting a place as beautiful and thriving as Portrush you’ll inevitably want to venture out of your room and see it all. 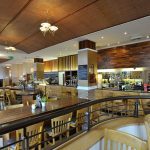 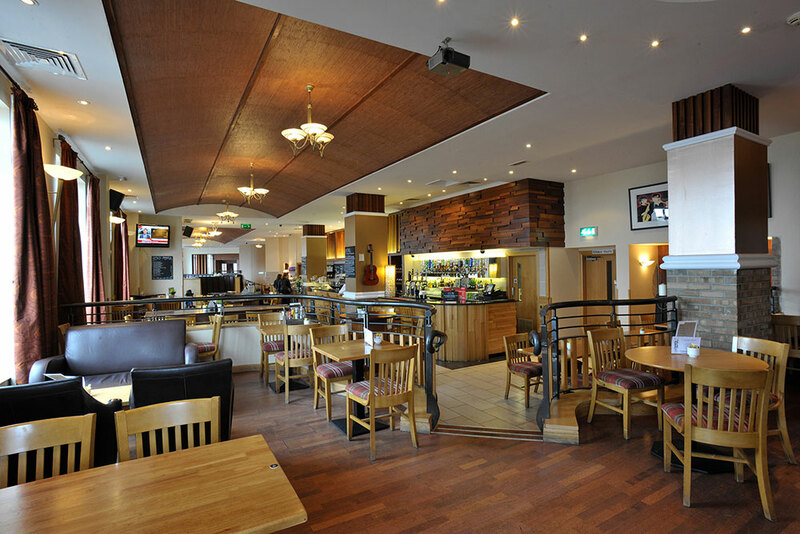 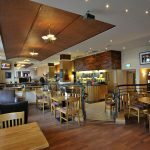 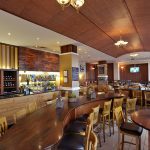 At the Portrush Atlantic Hotel we have a fabulous restaurant that serves a wide choice of foods from local specialities to international cuisine, making it the ideal place start an evening out on the town. 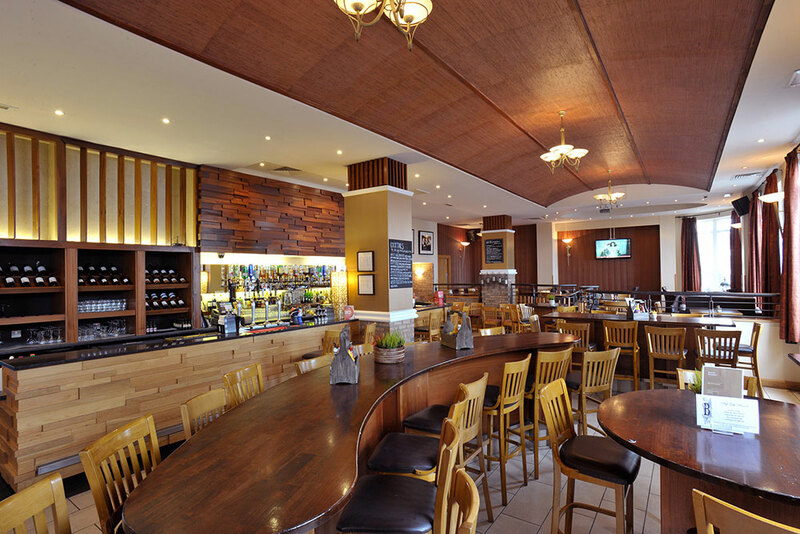 Or if you fancy a relaxing drink after a long day exploring, why not kick back in our lounge bar, which has everything you need. 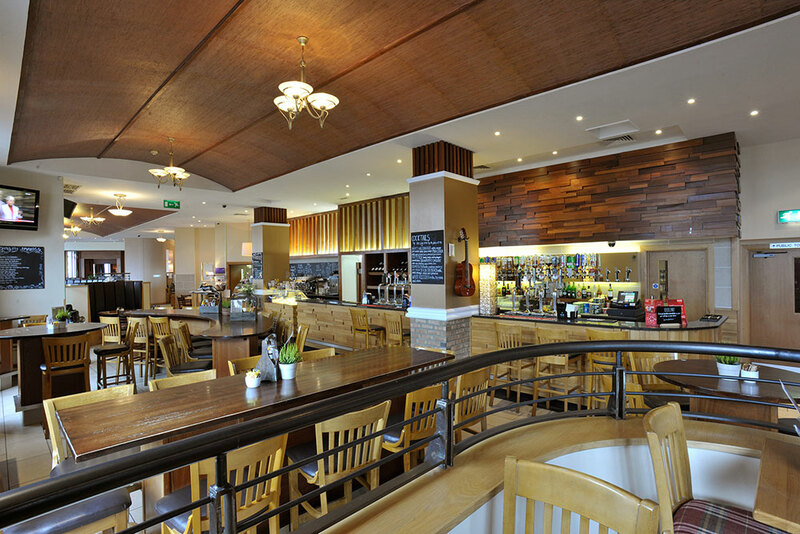 Beyond our four walls, guest will also find plenty to see and do. 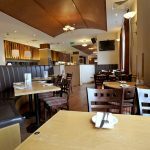 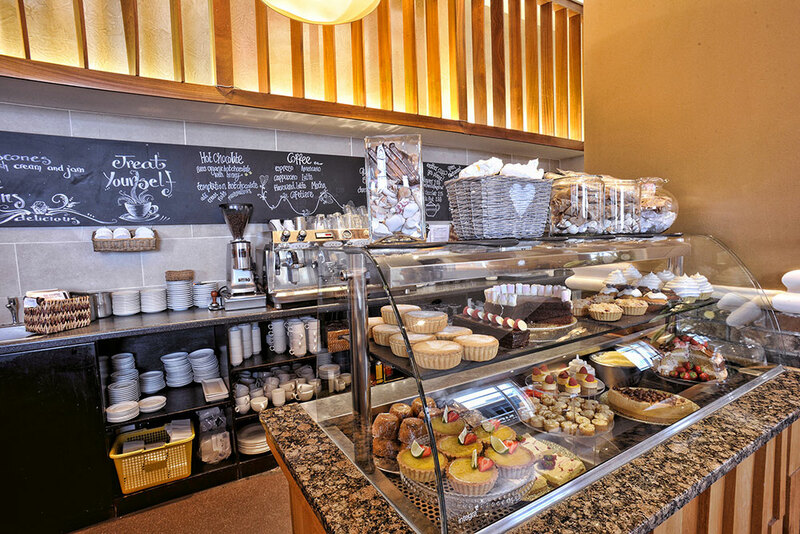 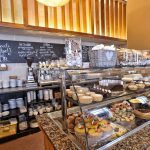 In the town there’s a fantastic array of local restaurants, bars and pubs, as well historical and cultural attractions to suit everyone’s tastes. 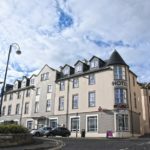 Take a step back in time with a trip to the ruins of Dunluce Castle; marvel at the Giant’s Causeway and the dramatic Atlantic Coastline; or take in a round of golf, all these are within easy reach of our hotel and the town. 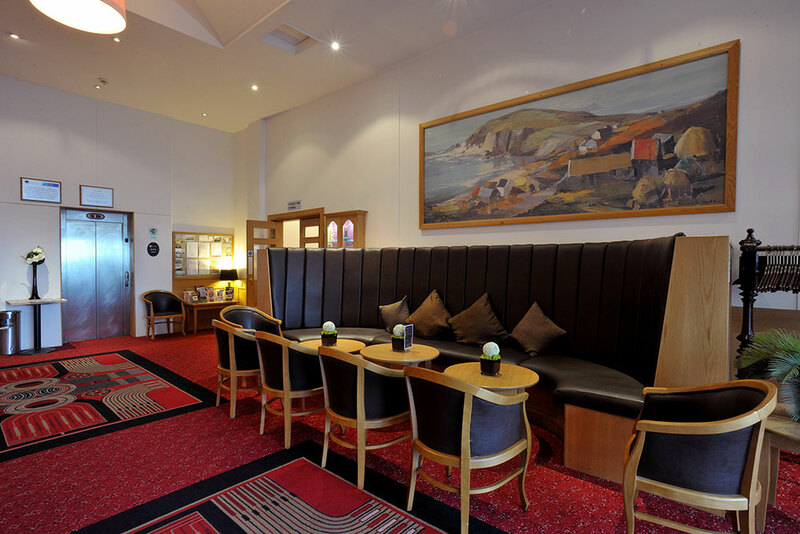 Whatever you fancy doing during your time at Portrush, with a stay at the Portrush Atlantic Hotel, we’ll make sure it’s a very special occasion. 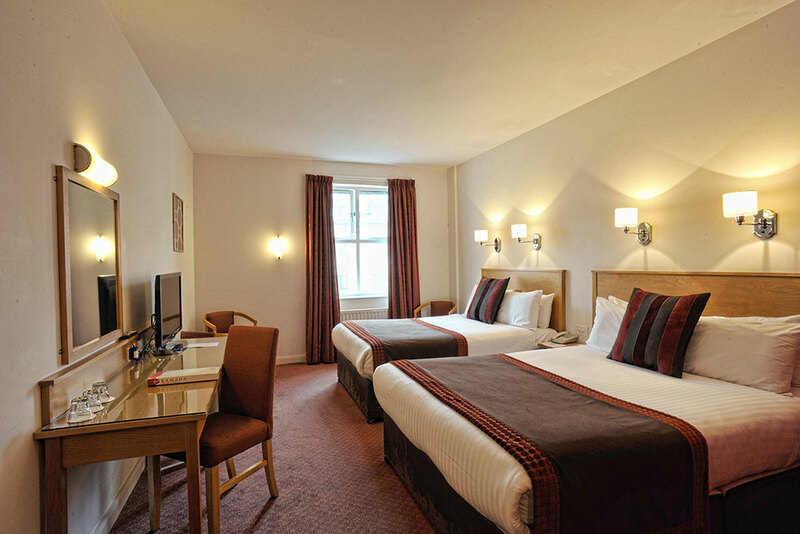 Enjoy your stay in this comfortable and well-appointed king size room. 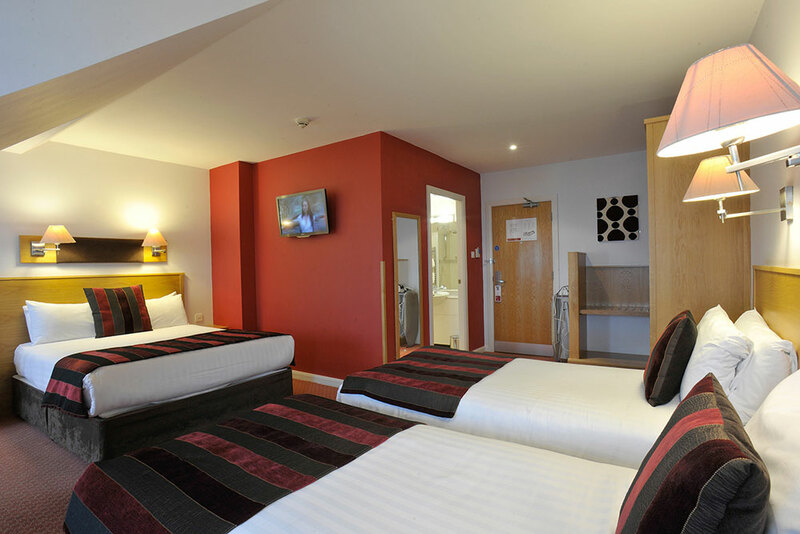 With all the facilities you would expect for a comfortable stay. 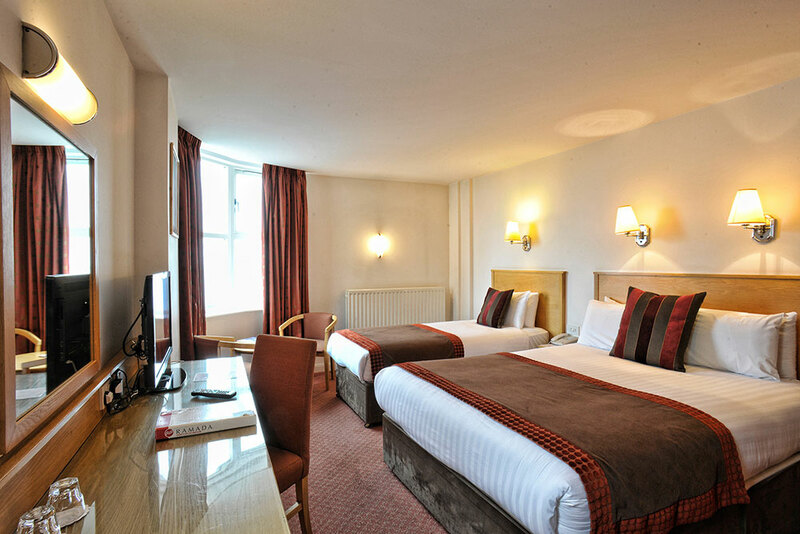 This larger room contains one king size bed and one double bed. 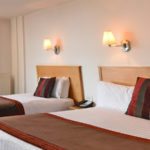 You can expect a range of in-room amenities to make your stay comfortable and enjoyable. 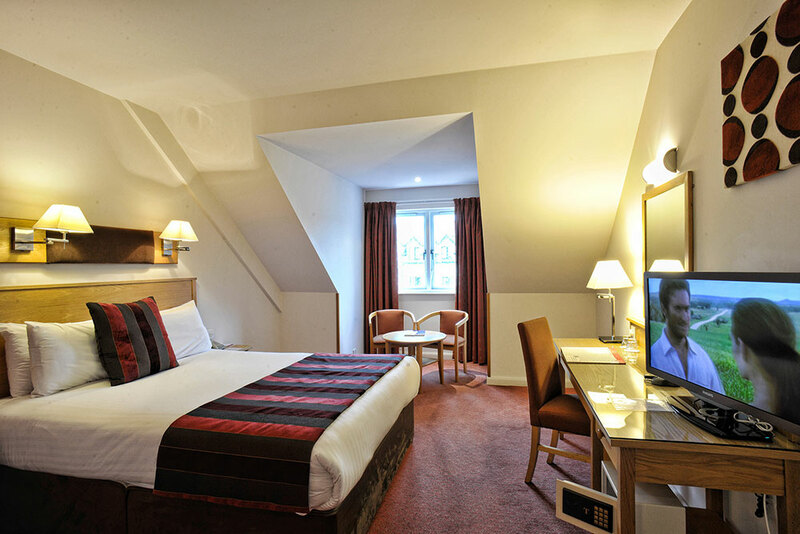 Ideal for families, this room contains space for 3 people staying comfortably in one room. 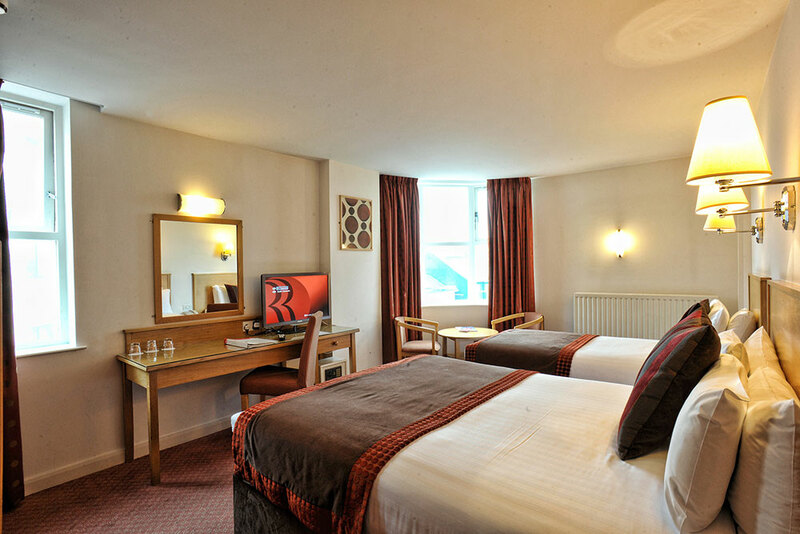 With a range of facilities such as TV and WiFi the whole family will enjoy this spacious room.